Planning a New Years Eve cocktail party this week and need a bite sized dessert? These dainty treats are exactly what your dessert table needs. 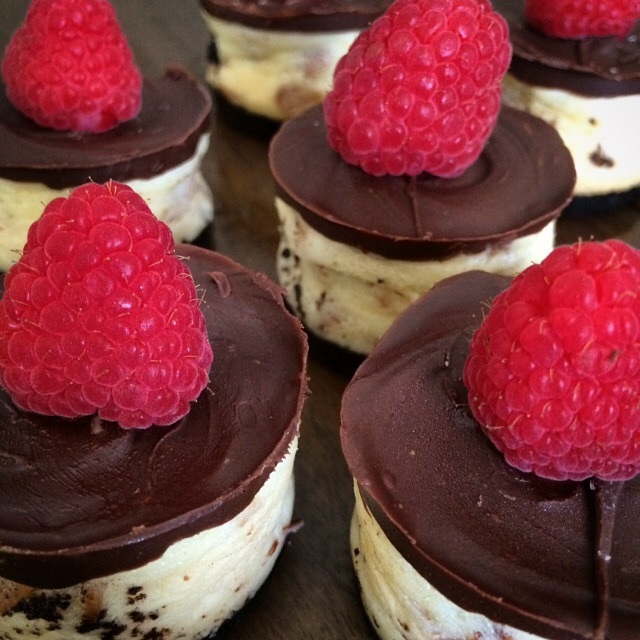 Amaretto cheesecake bites topped with chocolate and a raspberry add just the right amount of sweetness and pair perfectly with champagne. 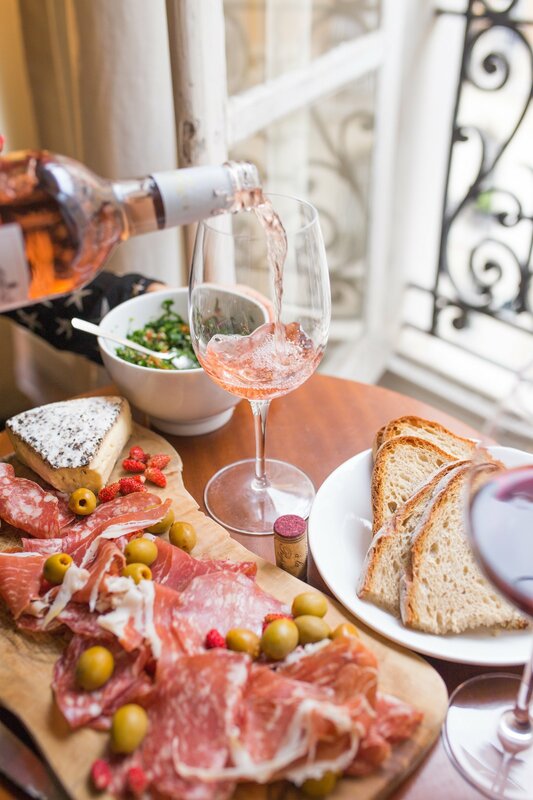 Pop, fizz, clink prepsters, and bring in 2015 the right way! Before you begin, you’ll need to purchase a mini cheesecake tin. I bought mine on www.amazon.com. 1. Preheat oven to 325 degrees. Toast almonds until golden brown. 4. To make glaze: On cool cakes. Melt chips and instant coffee together. Pour over cakes making glaze on top. Add a berry if you like. After chocolate is firm remove from pans. Refrigerate until ready to serve.